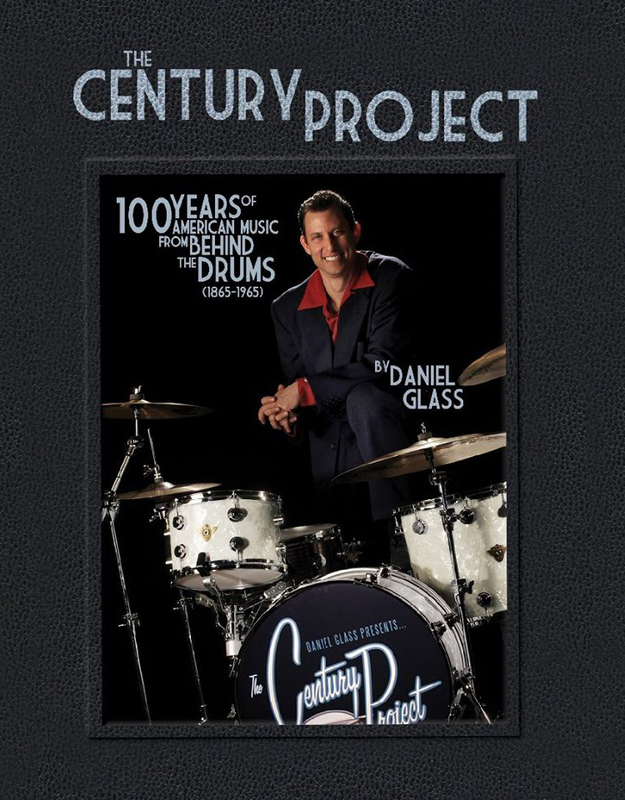 “The Century Project: 100 Years of American Music From Behind The Drums” is the award-winning DVD from drummer, author and educator Daniel Glass (Royal Crown Revue, Brian Setzer Orchestra). “The Century Project” takes you on a thrilling journey through 100 years of music history, tracing the story of the drum set from its inception at the end of the Civil War (1865) to the dawn of the British Invasion (1965). Throughout the presentation, Daniel introduces and demonstrates a variety of classic styles and techniques, including double drumming, ragtime, New Orleans jazz, Chicago jazz, classic swing, bebop, rhythm and blues, rockabilly and early rock’n’roll. To bring these musical eras to life, The Century Project incorporates eleven stunning vintage drum sets, hundreds of rare product and vintage catalog shots, and a dozen high energy performances from an all-star band featuring members of Royal Crown Revue, the Brian Setzer Orchestra, the Conan O’Brien house band, and Bette Midler’s “Kiss My Brass” Revue. Filmed and recorded in stunning high-definition, The Century Project reveals a side of the drums never before seen, and endeavors to show musicians here in the 21st Century just how much they actually have in common with the past. The bottom line – learning more about the classic styles demonstrated in The Century Project will make you a stronger and more competitive drummer, regardless of what style of music you play.